46 P Wirtanen has already been seen through big telescopes. But so far the correct information about the brightness in it can not be found. But it is believed that as the comet approaches the sun, its glow will grow. This comet named 46 P Wirtanen will move towards the Sun passing through about 11 million km approx of earth on December 16. Such a situation arises very rarely. NASA said in a statement on 14 December 2018 that it is believed that comets can be seen with telescopes or naked eyes when it closes the Earth. In California, NASA's Jet Propulsion Laboratory's Center for Near Earth Object Studies Manager Paul said, "These comets will be one of the closest comets to Earth for many centuries." He further stated that in the coming years, the comets which can be seen in the most spectacular comet may also be the brightest comets. 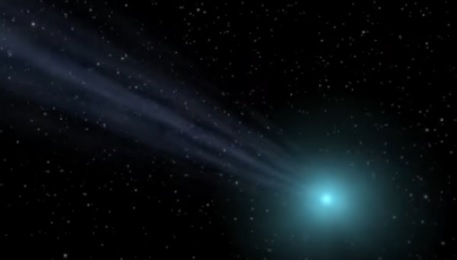 This will help astronomers gain more information about comets. The articles shared on your site are very helpful and interesting to read. I read this post while I was simply searching for some other topic. This blog is really written on a very helpful topic. That made me to read your blog. I must say you are blessed with a good ability of writing. Thank you for these all detailed post. I am working in panseva. I got all general information from this blog. Keep writing more.